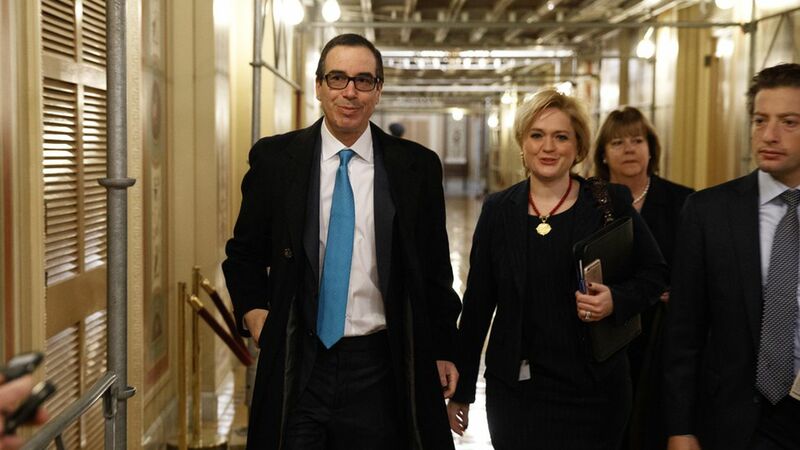 Last Wednesday, Treasury Secretary Mnuchin met with Republican leaders from the House and Senate, including Mitch McConnell and Paul Ryan. Where the accounts differ: One source told me, "it's not like people laughed when he said before the August recess but the mood was clear that this wasn't something that was ever going to happen." But a source close to Mnuchin says the Secretary heard no rejection of that pre-August timeline and considers it "a viable option." Current timing: Treasury believes it can keep using emergency cash saving measures to avoid breaking the borrowing limit until the early fall.